Is your membership up to date? Sign in upper right to see or check with FANN: 321-271-4885. 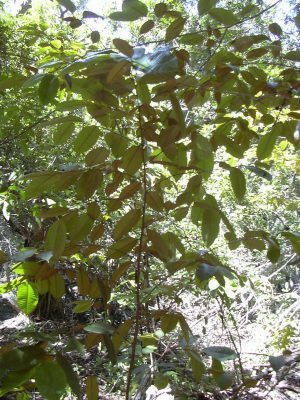 FANN member Subtropical Native Trees is offering a 4-hour class on the identification and biology of 25 species of native subtropical trees. Attendees will learn the differences between species, should be able to identify and select 25 different native subtropical trees by the end of the class, and will see trees in 10 and 25 gallon pots just as they would be bought for installation. The class will review the ecology of subtropical hammocks and the trees found in them, including discussion of soils, rainfall, USDA Hardiness Zones along with flowering times, and tree heights in natural and artificial settings. The instructor is nursery owner and certified arborist Mike Kirby. Mike has a B.S. in Environmental Technology from the Florida Institute of Technology and several years of experience as a municipal landscape inspector and environmental specialist. Location: Subtropical Native Trees Nursery, 3241 German Woods Ct., Naples FL 34116, off of Santa Barbara Blvd, just north of the I-75 overpass. The course is approved for 4 CEUs for CEPs, FNGLA Certified Horticulture Professionals and ISA Certified Arborists. CE credits for landscape architects have been applied for and are pending approval. Native Subtropical Trees is a Florida DBPR licensed provider #0007870 of landscape architecture CE credits.